As a general rule, I try not to post too many pictures of my family online. Not because I'm concerned about privacy (although that crosses my mind), but because it's really nobody's business. My family isn't a freak show to show off to the world. Today, daughter #2 (birth order, not preference) is a freak show. 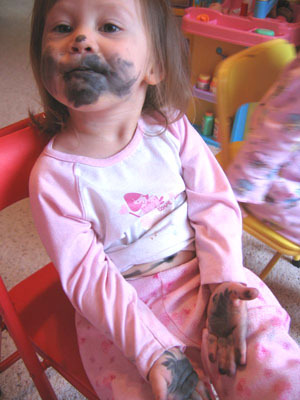 Two-year olds should not play with markers. That's so great!! She's just as cute with a beard as she is without. 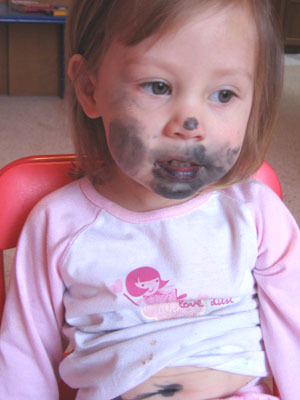 Yeah -- it's all cute and fun until she digs out the permanent sharpie. 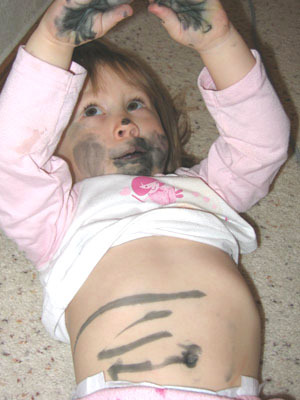 And we tell her all the time that she's not allowed to play with markers when we're not watching her... but I guess she figures that if we're not watcher her, we don't know. Crafty kid. In more ways than one.